Thyax is a natural thyroid remedy that can help stimulate thyroid hormone levels naturally. Before taking the drug Thryoxine for your thyroid condition you should understand the side effects and alternatives. Do you know the side effects of Thyroxine? If not, read this article so you are aware of the risks. Thyroxine is the hormone secreted by the thyroid gland, and also the common name for the drug l-thyroxine used to treat thyroid deficiencies. proper regulation of normal thyroid function is necessary to keep the body performing at peak efficiency. proper regulation of the preferred drug of treatment for thyroid conditions is equally important. thyroxine is a drug of extremes. prescribed under the names levonthroid, levoxyl, synthroid, unithroid it is very helpful in the regulation of thyroid hormones. however, it should never be used as a means of weight loss, even though it will help that function in its normal regulation of the thyroid. keeping complete control of the dosage is very important to avoid serious side effects of thyroxine, even death. as long as thyroxine is used in the prescribed amount, under strict doctor’s observation with regular thyroid testing to be sure levels are in-sync with the treatment amount of thyroxine it is safe and effective. thyroxine is a synthetic hormone that closely resembles the hormone secreted by the thyroid that regulates metabolism, body temperature and other body functions. without the proper levels of this important hormone your body responds with several possible symptoms such as fatigue, depression, weight loss or gain, hot flashes or chills. while these are just a few of the symptoms of thyroid malfunctions you can see how abnormal thyroid function is also a matter of extremes: hot flashes vs chills, weight loss vs weight gain. the side you end up on depends on the degree of hormone in the blood stream or lack thereof. thyroxine is only used to replace missing levels of thyroid hormone. it is not used for an overactive thyroid, hypothyroidism. however, misdiagnosis or improper dosages can throw the thyroid into overdrive and cause the reverse thyroid condition, hyperthyroidism. thyroxine is not something to take without a doctor’s prescription. there is no way to properly self-prescribe the right amount of thyroxine. it is necessary to keep tabs on the thyroid function before and during the use of thyroxine to correct improper hormone levels. thyroxine doses range from between 12.5 and 200 micrograms once per day. your physician will likely start you off at a very low dose (between 12.5 and 25 micrograms) and adjust it over time according to your body’s response to the drug. it is very hard to determine the proper amount in such a large range. you may also notice that the dosage is in micrograms, not milligrams. that is how precise the dosage needs to be for proper regulation. your doctor will use the three common thyroid tests to make sure your levels are where they should be at all times while taking thyroxine. even more severe side effects can result in paranoia, agoraphobia and even fatal overdose. both natural and synthetic thyroxine work by attaching themselves to the dna of the cells of the bloodstream and increasing the amount and activity of mitochondria, thereby stimulating the basic metabolic rate. 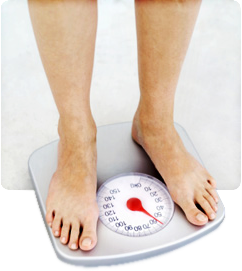 natural thyroxine is a growth hormone that also regulates metabolism. thyroxine also stimulates the nervous system and creates increased activity in the endocrine system that can last for a month or more. another important reason to always consult with a doctor before using the prescription medicine thyroxine is that it can interact with other drugs you may be taking. these include birth control pills, diabetic medications, decongestants, stimulants and even herbal remedies. when you speak with your doctor about beginning a thyroxine regimen make sure you tell your doctor everything you are currently taking, even non-prescription items like calcium, iron or herbal remedies. in many cases, both prescription and non-prescription medications and treatments can still be used, but must be taken 4 hours before or after the administration of thyroxine to avoid reaction. allergic reactions to thryoxine are rare, because synthetic thyroxine is a match to the body’s natural hormone. however, there have been some reactions to the tablets when taken. most experts agree that it is a by-product of the tablet creation that causes the allergy rather than the thyroxine itself, but sometimes there are reactions so you should know what to look for and seek immediate help in the event of skin rashes. getting lots of natural iodine in your system can help a failing thyroid. kelp is a fantastic source of iodine as are many forms of seafood. you can take a supplement or include it in your diet to stimulate the thyroid and help it increase its natural production of thyroxine. eat a healthy breakfast. avoid sugary breakfasts, and eat whole grains and protein to give your body a head start on the day. this will also get your metabolism moving in a natural manner and help regulate a mildly underactive thyroid. take vitamin b-12 supplements to increase energy and stimulate body functions. don’t starve yourself. common dieting myths indicate that eating less will help you lose weight, but the reality is eating far too little (less than 1200 calories a day for women, 1500 for men) can stall your metabolism and harm thyroid function. drink water! cut out all the sugary sodas, and even diet sodas. cut back on caffeine and even fruit juices that often have high levels of sugar and drench your body with pure, natural plain water. it is a great way to boost your thyroid function and lose weight at the same time. whether you are taking prescription thyroxine, or using natural thyroid remedies to help increase thyroid function, it is important to be patient. it can take several weeks for thyroxine to reach its full potential in the blood stream. the same is true of natural remedies. the changes do not happen overnight. however, you will likely begin to see improvements in your general condition and with your weight loss in just a few days following the start of any thyroid remedy. keeping track of the little improvements can help you be patient, and it also is a great morale boost. there are other important reasons for keeping close track of all of your body’s reactions, even the good ones, when taking thyroxine or other natural supplements for thyroid conditions. your doctor will need to know how you are doing on the treatment. even though the good reactions are a positive thing, if they get out of hand, they can switch to the opposite form of thyroid problems, hyperthyroid, quickly and cause an entirely different set of problems. 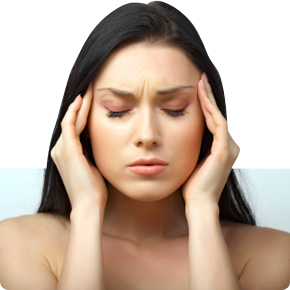 if you begin to have symptoms of anxiety, drastic changes in appetite, weakness or fatigue, headaches or nausea, insomnia, excessive sweating or night sweats talk to your physician. these can mean you need your thyroxine dose regulated, or need help controlling your natural thyroid stimulation. on the other hand, if you have palpitations, muscle cramps, tremors, stomach pains or restlessness contact your physician immediately as these are signs of far too much thyroxine and could lead to severe side effects or even death. thyroid medications such as thyroxine, and even natural supplements or foods containing iodine can be tricky, but if you are conscientious about watching for symptoms, the side effects can be stopped quickly by reducing the levels before it gets out of hand. 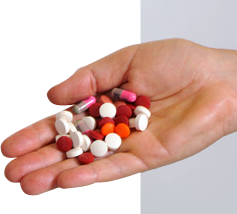 while thyroxin is much more powerful, over-the-counter medications have a far greater tolerance level in the system, and take a lot more to become problematic. that makes them a good choice for people wanting to boost metabolism and thyroid function, but do not require prescription strength medications to regulate it. one more way to keep your thyroid on track naturally is to get plenty of sleep and exercise. sleep is vital to regular thyroid function, and exercise is a natural stimulant that also releases endorphins into the system to help control the mood swings and depressions common with thyroid problems. the best method for dealing with a thyroid problem is to keep a well-balanced attitude toward healthy eating habits, exercise, sleep and natural supplements. when you can’t regulate your normal thyroid levels without medication, seek the advice of your physician and keep abreast of all of your body’s reactions to thyroxine to avoid complications and make the best use of your treatment.